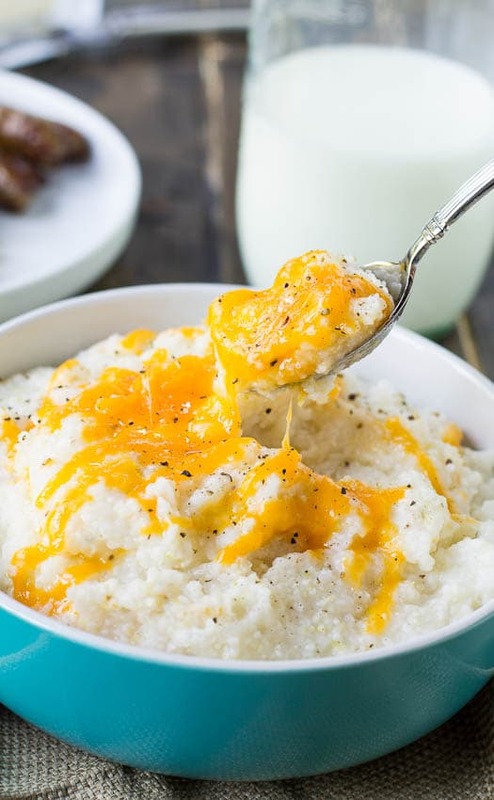 Cream Cheese Grits are a delicious addition to any southern breakfast. 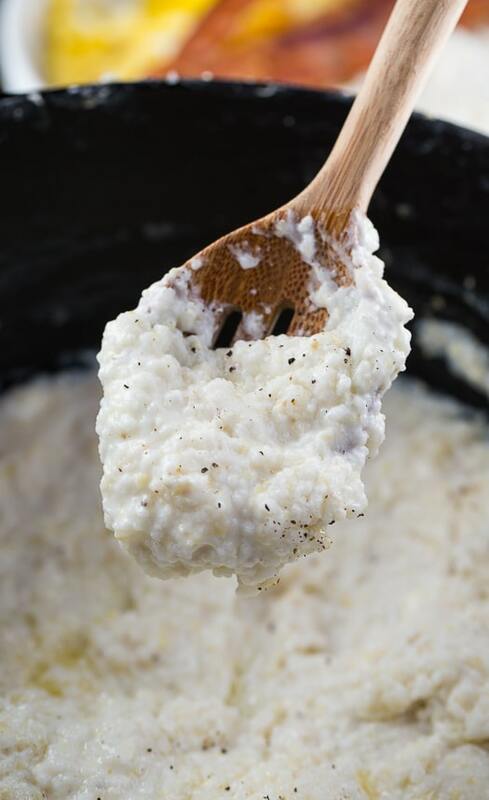 Using stone ground grits and adding cream cheese makes them extra creamy and special. 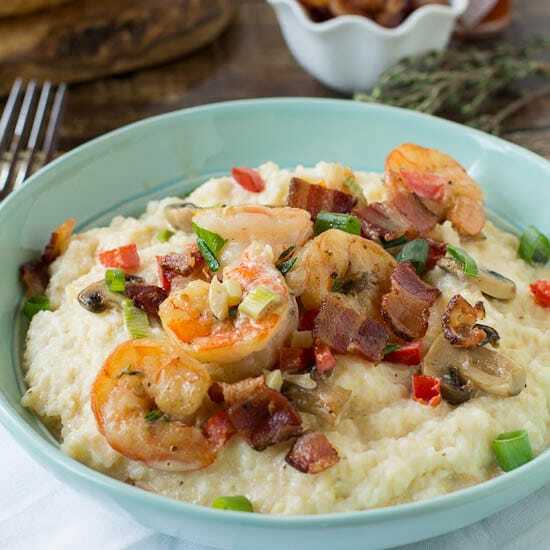 These Cream Cheese Grits are so rich and creamy and they are not only good for breakfast but work great as a base for Shrimp and Grits. 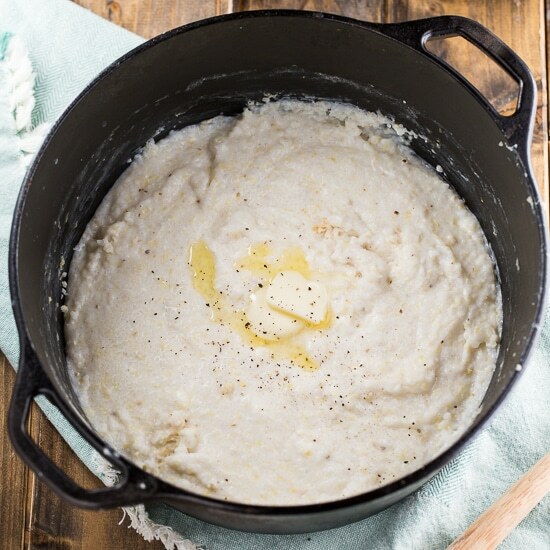 Stone ground grits are much more perishable than other kinds of grits. It is best to store them in an airtight container in the freezer. 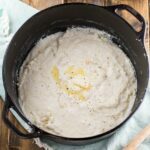 If you don’t like the hands on time that grits take to cook, try these Crock Pot Grits. They can actually be cooked in the crock pot while you sleep so that you wake up to a breakfast already partly made. Take a few minutes to toast some bread and scramble some eggs and you’re ready to sit down to a hot and delicious southern breakfast. Bring water and milk to a boil in a large pot or Dutch oven. Add salt and gradually whisk in grits. Reduce heat to maintain a low boil and cook 30 minutes, stirring frequently with a whisk to prevent clumps or sticking. If grits get too thick, you can add a little more water. Once cooked, stir in cream cheese and butter. Note: Cooking time can vary for stone ground grits. Some brands can take as long as 50 minutes. Go by the cooking time on the package. You can also use quick-cooking grits and shorten the cooking time. Disclosure: This post contains amazon.com affiliate links. This entry was posted in Breakfast and tagged grits. Bookmark the permalink. We do love cream cheese grits! Thank you for trying and sharing our product. Your pictures look great and definitely are making us hungry! Great recipe Christin! Just like my granny used to make. Thank you so much. 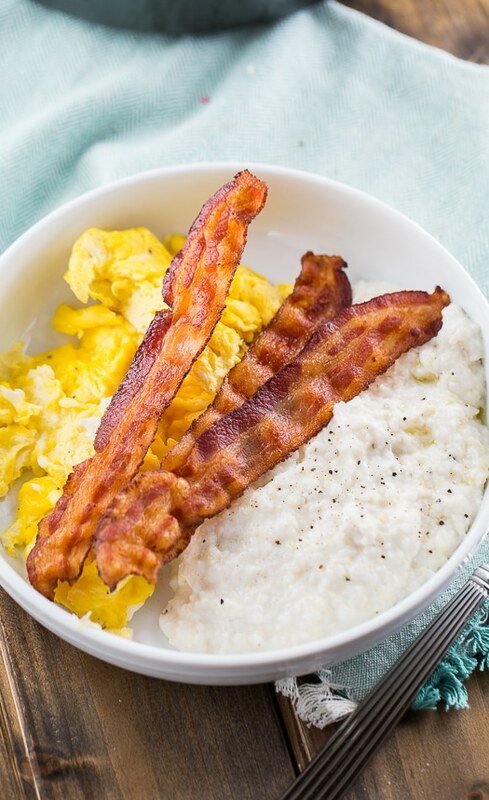 Cream cheese and grits sounds like an amazing breakfast! I’ve never had grits before but I’ve always wanted to try them. These look so delicious and creamy! I have such a huge craving for this now. I tried grits for the first time last year, as they are not really a big thing over here in the UK, but I fell in love. Total comfort food. 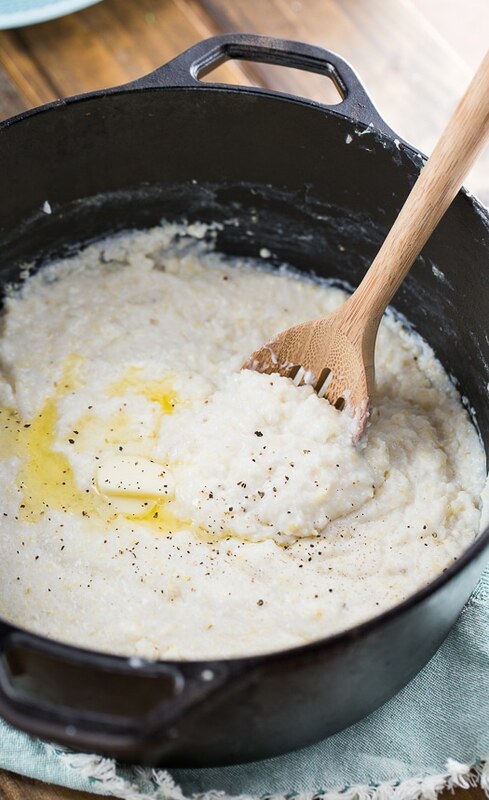 We love grits, and this recipe sounds perfect. 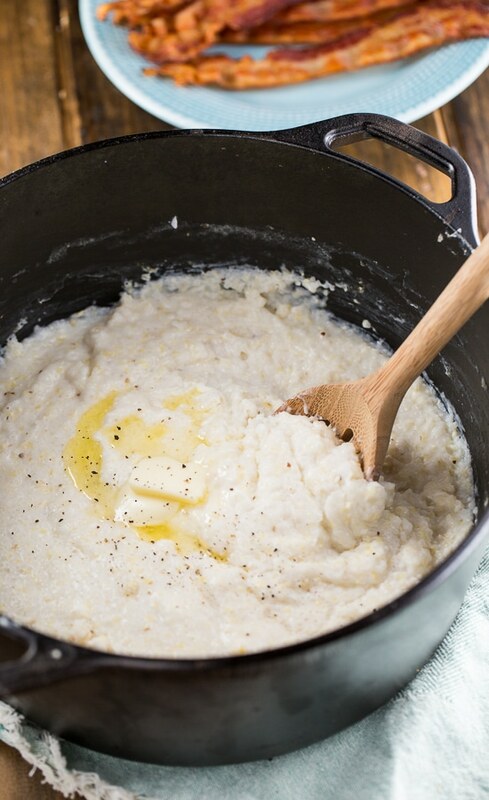 If you have grits in the pantry- you have the beginning of a delicious meal. I don’t eat shrimp, but use grits with lots of other things. Breakfast meats, of course, but also ham, anyway, pork chops, even chicken. I love them with onions,cooked in butter, and chopped tomatoes! I also add cheddar or Mexican blend shredded cheese to my pot. And to those not familiar, please don’t forget the salt. They are not edible if you do! A splash of cream is also delicious! Enjoy your blog, neighbor! (NC) Your recipes are real! Thank you so much Shelby for the kind words and the suggestions for serving grits! NC is actually my home state. I like to say I am from the Carolinas – both of them! I’ve only had grits one other time before, but I think I would eat this on a regular basis if they had cream cheese in them. This looks so good, Christin! Cream cheese and grits sounds like such a fantastic idea! 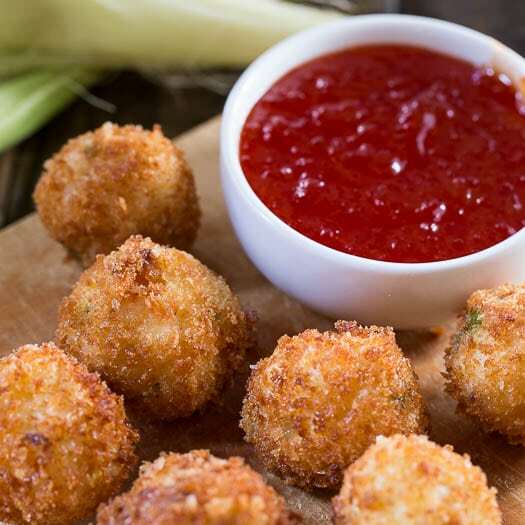 These look incredible, Christin! Wow these are grits extraordinaire!!!! This has to be a delux version of this old old dish. You have some of the best posts. I love grits. Always interesting. You got some way good southern in you.